Emmett Equipment Company is one of Wright Manufacturing's largest dealers. Most models are in stock and priced at or below Wright's 'Seasonal Buying Program'. You will be supported by our large parts inventory and experienced technicians. Loaner mowers are available for clients that purchased their mower here. 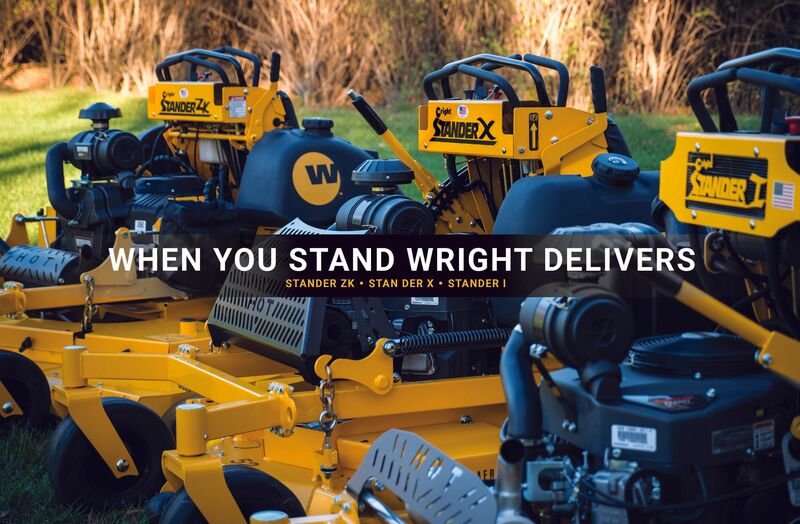 The Wright Stander is still and will remain the best stand on mower for your money!